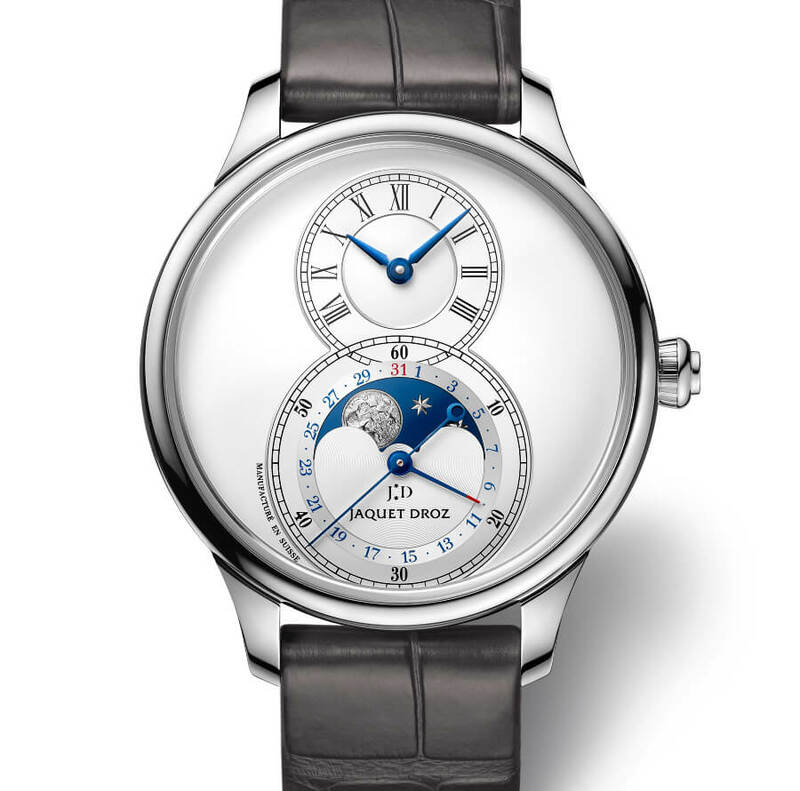 This initial lunar took on the iconic model was received to great acclaim. Comforted by this success, the collection is expanding. 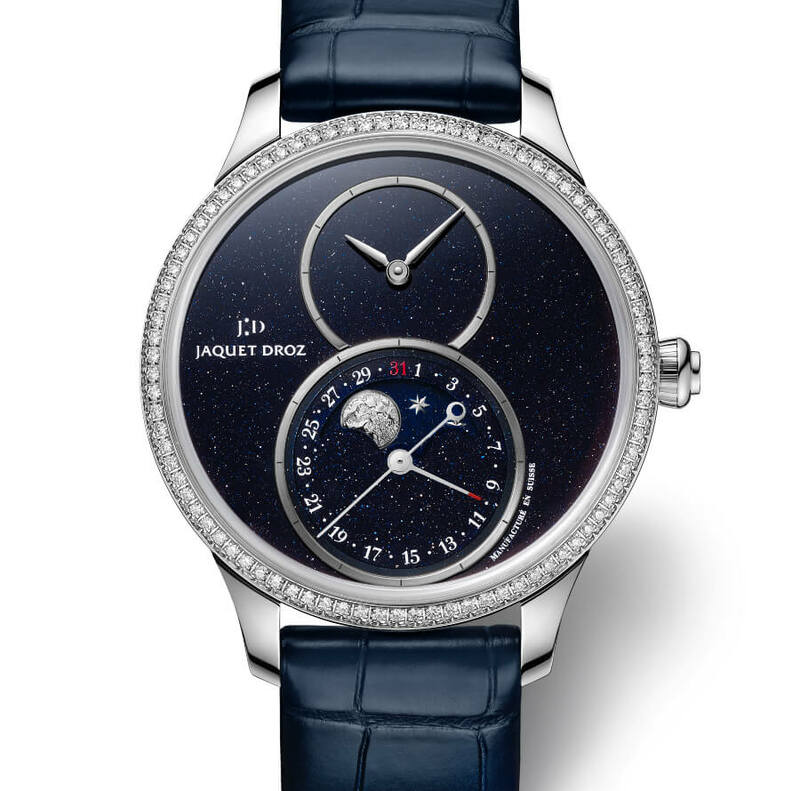 Two new light-colored variations – a 43 mm white gold model with Grand Feu enamel dial, and a 39 mm steel model with opaline dial – feature a blued steel Moon disc decorated with 18-carat white gold star appliques. 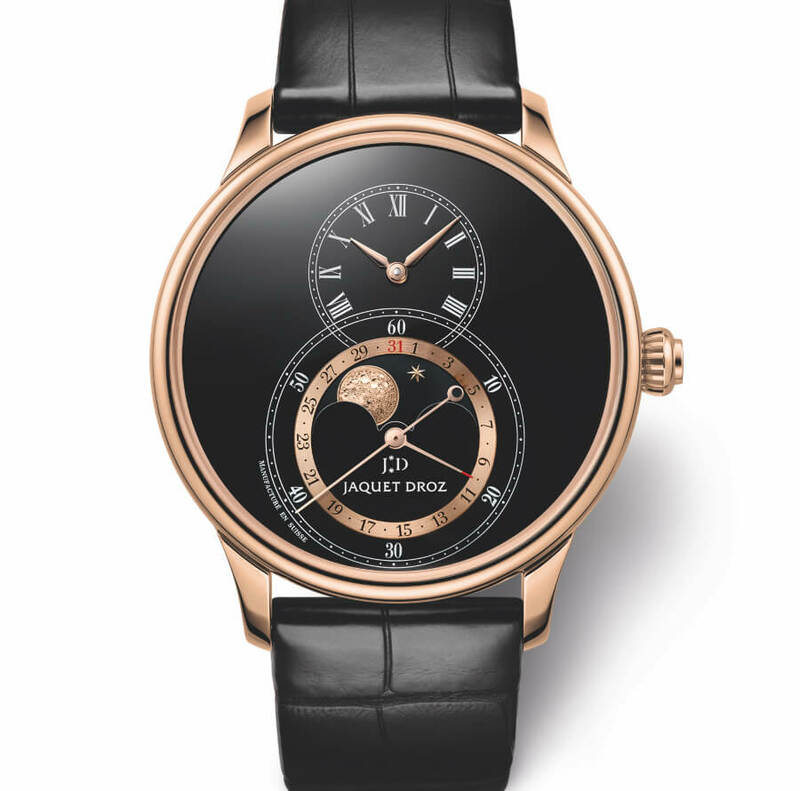 Two further interpretations exhibit a more mysterious color palette: a 43 mm red gold model with black Grand Feu enamel dial presents a black onyx disc, while a 39 mm diamond-set steel model boasts an aventurine dial and disc. 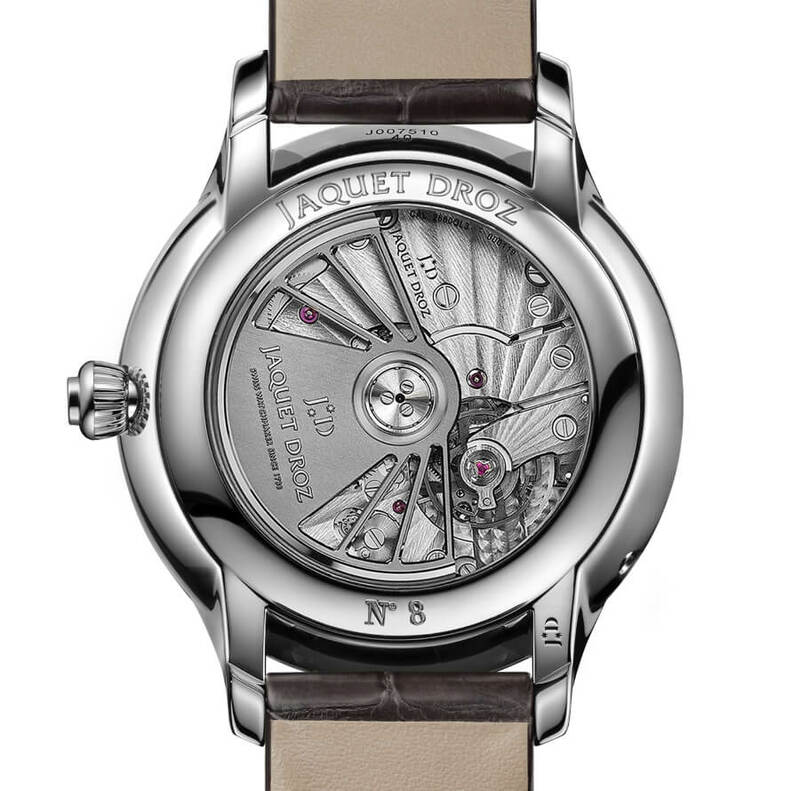 Since the Moon Phase requires a greater level of precision, Jaquet Droz developed Mechanism 135, an in-house movement featuring a high precision 135-tooth wheel inside a Jaquet Droz 2660QL3 caliber. 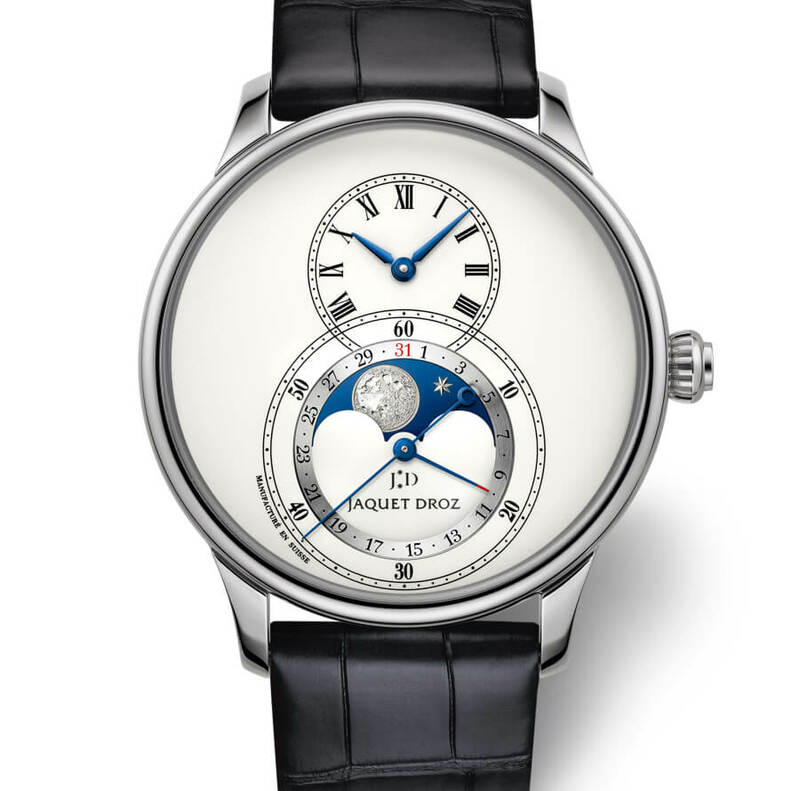 While a traditional 59-tooth movement accumulates an error of one day every two years and eight months, the Jaquet Droz Moon Phase need only be adjusted by one day every 122 years thanks to a corrector discreetly incorporated into the middle of the case. 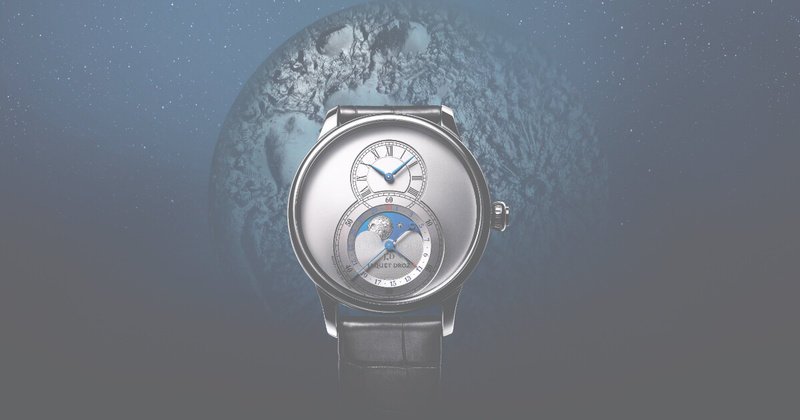 The precision of the Grande Seconde Moon movement is thus infinitely closer to the actual lunar month which lasts exactly 29 days, 12 hours, 44 minutes and 2.8 seconds. 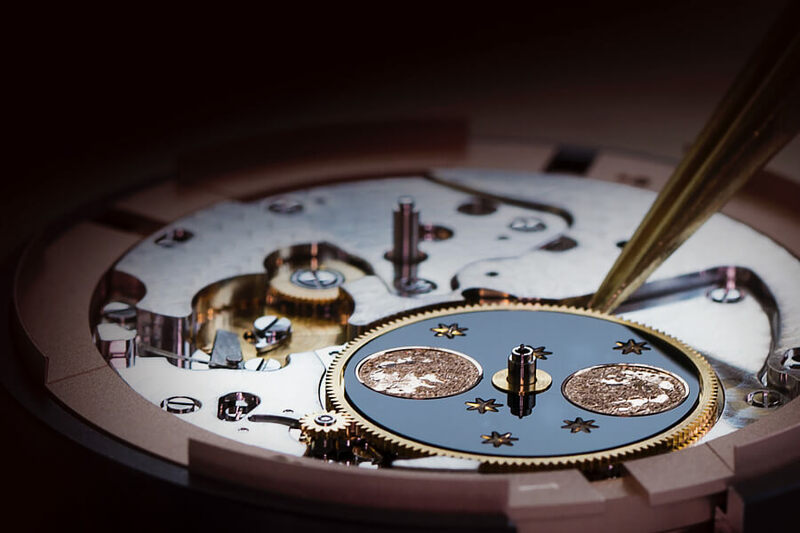 As well as the precision of the movement – further improved by a silicon escapement – these four new Grande Seconde Moon models lend a touch of poetry to the collection. 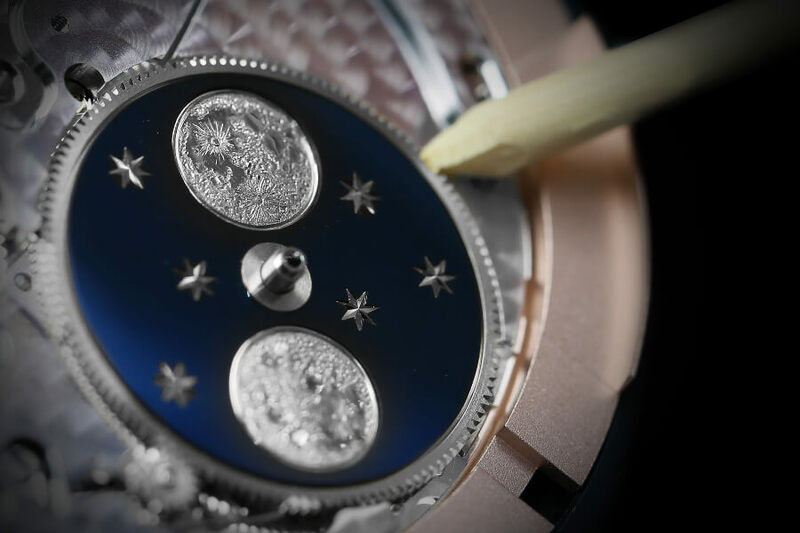 The Moon is the favorite celestial body of watchmakers, bringing to every dial a quiet revolution, a new perception of time, an exclusive and poetic slice of astrological mystique that slips onto the wrist.